The Center for Native American Youth (CNAY) is calling on Native youth across the country to join their first Generation Indigenous Online Roundtable. Fill out this brief 5-10 minute survey, share your opinion, win cool stuff. It’s that simple. Since its launch in 2011, CNAY has traveled to 23 states and connected with more than 5,000 Native youth to better understand their challenges, strengths, and priorities in urban and reservation communities. This is your chance to be part of that conversation. The Gen-I Online Roundtable is open to Native youth under 25 until September. Everyone who participates will be entered to win one of two full Nike N7 gear packages. Additional prizes will be awarded monthly, including gift cards, t-shirts, and other cool stuff. We’ll share the results of the survey widely so that Native youth, and those who serve them, can use the information to help raise money and educate their communities. Check out their blog to find more information. The Spring Issue of The American Indian Graduate Magazine Now Available on-line! 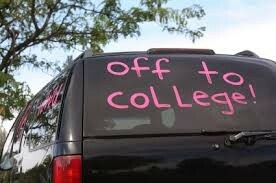 Are you a collegebound high school student? 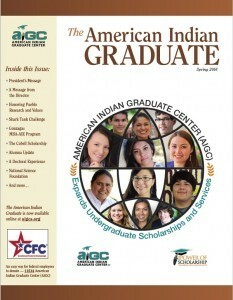 Stay informed on available scholarships and academic opportunities through the American Indian Graduate Magazine. Click here to sign up to receive your free copy or click here to view it now. 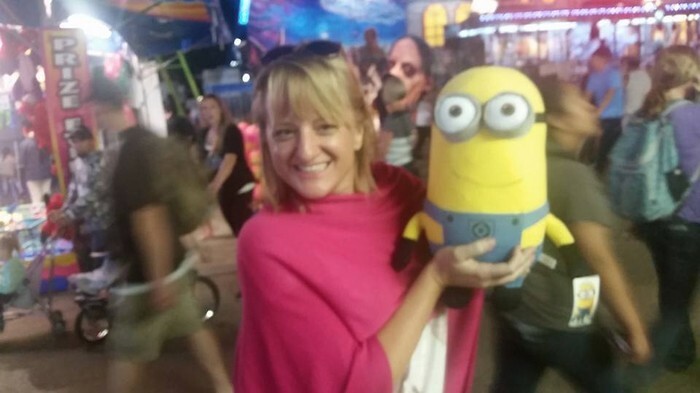 Kerrie will regularly be visiting Central, Como Park, Harding, Highland, and Johnson High Schools this school year. If you do not attend one of these high schools, you still can receive Indian Education counseling services. Please email Kerrie (kerrie.troseth@spps.org) if you have questions or would like to schedule an appointment to meet. Ikidowin Peer Education Program: The Ikidowin Peer Educators and Acting Ensemble is a group of Native Teens 12-18 years old. They follow a curriculum about sexual health including STD, HIV/AIDS, and teen pregnancy prevention designed for Native teens that includes cultural education. Contact Brenna or Kirby at 612-722-5670 for more information and for an application. ComoTown: ComoTown is hiring for the season. ComoTown will be hiring for several positions: ride operators, face painting, ticket and retail sales, outdoor ice cream cart, concessions, kitchen staff, catering, and retail store. Applications are available online. Conversation Corps: Minnesota’s afterschool program, Youth Outdoors, connects urban teens to the natural environment through hands-on conservation and neighborhood beautification projects. It empowers young people to become active, engaged citizens and leaders. Conversation Corps is currently taking applications for Spring 2016. Urban Boatbuilders Apprentice Program: May 13, 2016 Deadline Program offers an opportunity for youth to develop academic and workplace readiness skills through the building and use of wooden boats. Apprentices work alongside an Urban Boatbuilders instructor learning advanced boat building skills while earning a stipend. Once the boats are finished, apprentices get to enjoy their hard work by launching and paddling them in nearby lakes. In August they go on a five-day trip to the Boundary Waters with homemade boats and paddles in tow. The Apprenticeship Program hires youth who qualify as low-income and/or have employment barriers. In addition to gaining woodworking skills, apprentices attend field trips to different work environments and participate in skill-building workshops such as resume writing, job interviewing and goal setting. It’s a comprehensive program that seeks to empower youth through hands-on learning projects while working to expand the possibilities and paths they envision for their futures. American Indian/Native American Restoring Relations Youth Corps: May 15, 2016 Deadline: Restoring Relations crew members (ages 15-18) add value to their communities, the environment and themselves through their dedicated service. Crew members participate in a rigorous program of work, education and training and complete environmental restoration projects within the Twin Cities area. Projects may include trail construction and maintenance, foot bridge building, landscaping, campsite development and invasive plant removal. Training includes indigenous culture and values, proper use of hand tools, safety, camping skills, Leave No Trace and team building. All work projects are completed outside, even during hot or cold weather and in rain (except in unsafe conditions such as lightning). Dream of Wild Health's Garden Warrior Summer Program: May 19, 2016 Deadline Four-week sessions covering gardening, nutrition, physical activity, and Native culture and language for teens ages 13-18. Participants are paid a stipend for their work experience. No Deadline: The Ninijanisag (Our Children) Program teaches youth ages 10-21 problem-solving, leadership, and communication skills in a community and cultural context. Traditional American Indian cultural activities are offered weekly and include drum and dance, sweat lodge, traditional crafts, talking circles, traditional storytelling, and intergenerational language tables. 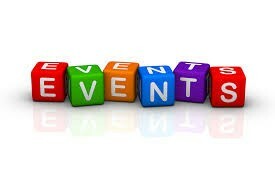 Leadership opportunities include public speaking, mentoring, and planning community cultural events. The long-term impact of Ninijanisag is to provide American Indian young people with cultural and community connections to sustain them and deter them from substance abuse, crime, violent behavior, suicide, and other destructive behaviors. Click here for more information and an application. No Deadline: The Urban Native Teen Support Group has started at the Minneapolis American Indian Center. The group meets weekly on Mondays at 7:00pm and discusses issues such as suicide prevention, health & wellness, post-secondary education, and drug & alcohol prevention. 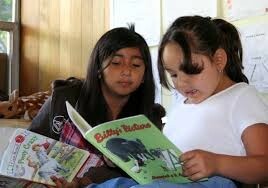 Tutoring and peer counseling is also available. For more information, please contact Taylor Brooks at taylorb5067@gmail.com or Cheryl Secola at 612-879-1783. 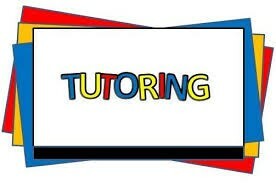 High School onsite tutoring-students should check with their high school's main office for more information. 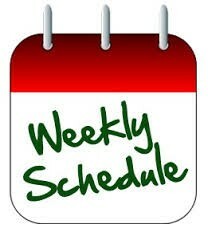 Check back next week for any updates. Maanico Horuzra Caabnaikiisik Youth Lacrosse Tournament May 21, 2016 from 10:30 AM to 5:00 PM. This is a FREE event, sponsored by the great Ho-Chunk Nation recognizing May as American Indian Awareness Month and the Twin Cities Native Lacrosse! All American Indian youth are invited: All ages and skills! Organized teams are not required, but welcomed. Individuals are welcome to join in age brackets. Wooden sticks will be provided for individuals who do not have sticks. All participants will receive t-shirts! Free food will be provided. Prizes, fun, traditional teachings, and honoring our sacred children and the game of Caabnaikiisik (lacrosse) will be the focus of the event! Maanico Horuzra is the Hoocak name for St. Paul, the traditional land where Ho-Chunk people would gather the blue earth. Caabnaikiisik is the Hoocak word for lacrosse. For more information and to register, click here. Wanaisguni Hikurus Hajawi 5K Run/Walk May 25th 5:00 PM to 7:30 PM. To register, please click here. For a comprehensive listing of scholarships and financial aid opportunities and information for American Indian students, please click here. For specific Tribal scholarship programs, click here and scroll to page 12. Ongoing: Sign up for the American Indian Graduate Center's e-newsletter for updated American Indian scholarship opportunities. Click here to register for the newsletter. 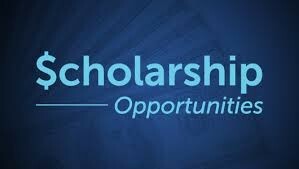 Students can review all scholarships available through AIGC by searching their scholarship page. July 1, 2016: Minnesota Indian Scholarship. Are you a Leech Lake Band of Ojibwe constitute and planning on attending college during 2016-2017 school year? Stop by the Leech Lake Twin Cities Office for a scholarship packet. Deadlines are approaching soon! Call Nikki Roy at 612-729-0554 or email her at nicolekoenigroy@gmail.com for more information. Iowa First Nations Summer Program: July 17-23, 2016. 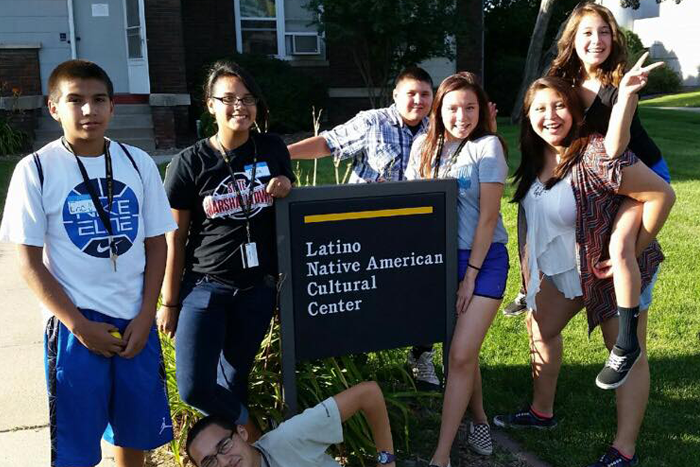 This program provides Native American students the opportunity to live on campus and experience the university setting, explore majors, and gain an appreciation for the variety of opportunities on the UI campus and higher education in general. Participants will attend structured classroom seminars and field trips to various campus departments, enjoy hands-on classroom experiences, and have the opportunity to get involved in social and recreational activities on campus and in the community. For contact information, please click here. Join other diverse Minnesota high school students (sophomores and juniors in the 2015-2016 school year) who are interested in health professions for the weeklong Career Immersion Program at Mayo Clinic's campus in Rochester, Minnesota. For more information, please click here. Summer Health Science Academy at University of Minnesota, Duluth: more details to come, but students can click this link for more information. The American Indian Affairs, Recruitment & Retention Program at Minnesota State University, Mankato will be hosting a FREE summer camp for American Indian students: The camp runs June 12th - 16th with housing, meals, and materials provided. Activities include Dakota language classes, adventure education program, college and ACT prep, swimming, movies, bowling and billards. Students who are interested can communicate with the director, Megan Heutmaker, at megan.heutmaker@mnsu.edu or 1-507- 3889-5230. Wind Step Program (UM-Morris): The Wind-STEP program is a two-week (FREE) summer experience. The program will introduce Native American high school students to careers in science, GIS (Geographical Information Science) and wind energy. If you are a rising junior or senior and have done well in Intermediate Algebra and Sophomore English and have an interest in science, this program is for you. Note: Some exceptions will be made for students younger than 10th grade. Program dates are Monday June 13 through Friday June 24, 2016. For more information and an application, please click here. May 2, 2016 Deadline: Dunwoody YCAP: Targeted to current juniors and seniors, this summer program is designed to help students find a career that matches their interest and talents, and then prepare them to succeed in that profession. During the six-week summer program, students gain exposure to 46 programs at Dunwoody and build life skills. Students who graduate from high school and this program are eligible to receive a $20,000 scholarship to attend Dunwoody. For more information and to apply, click here. 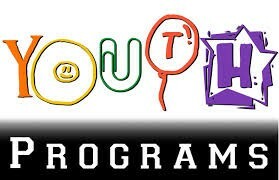 Kids can learn how to program robots, play chess, speak Chinese or dance hip-hop style, among other enrichment options. Click here for link to the guide. Minnesota Office of Higher Education Summer Enrichment Programs: Enrichment programs available with up to $1000 to pay for program fees and transportation costs. Click here for more information. 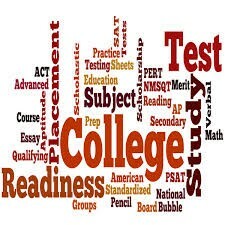 PrepFactory: This free test prep is in its Beta phase (testing to work out any bugs); however, any one can use the site to prepare for either the ACT or SAT. Sign up for a free account to save your progress. Naviance Test Prep: This free program is available within each SPPS student's Naviance account. Students can prepare for either the ACT or SAT. ACCUPLACER: The CollegeBoard has created a free testing preparation program. Use the link to "Add to Cart" and follow the directions to download the program to your iPad or computer. Tradition Not Addiction through Indigenous People's Task Force is currently recruiting youth ages 12-18 for their program. Youth receive $120 gift card for participating. For more information, an application, and schedule of days, please email suzannen@indenouspeoplestf.org or call 612-722-6248 and ask for Suzanne. Local Opportunities for all students - Click here to view a listing of volunteer opportunities for all students (thank you to Amy Samelian at Harding for collecting the information and sharing). Have questions about this newsletter? Contact me.